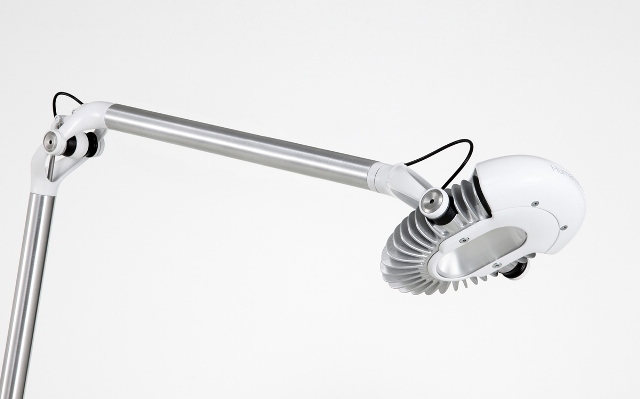 The Humanscale Element 790 LED Task Lamp offers performance that can't be matched, and is the first of its kind to meet all of the Department of Energy’s criteria for an LED task light. While other LED task lights utilize a series of LEDs in a bar or cluster to generate illumination, Element’s unique MCX LED Technology utilizes a single multi-chip LED that overcomes the weaknesses of traditional LEDs. 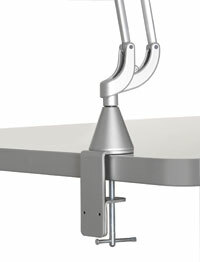 Current-generation LED task lights cast a series of shadows across the work surface, while Element’s LED casts just one. Additionally, traditional LED task lights are plagued by inadequate illumination, small or oddly shaped illumination footprints, and poor, bluish-colored light quality. But Element produces a large footprint of bright neutral-white 3500 Kelvin light that meets the Illuminating Engineering Society and DOE’s guidelines for comfortable ergonomic reading. Element also offers exceptional sustainability. It is the only LED task light that consumes just seven watts of power while also providing ergonomic lighting levels—-the equivalent of 70 watts of incandescent lighting.